Making it easier for people to find care. Using public data, we’re connecting people in Chicago with over 300 resources* and working to expand service listings statewide. Find what you need. More than 300 services in the City of Chicago; filterable by age, location, service and more. Save time. Connect can save up to 30 min per clinician referral. Get critical information. Languages spoken, payments accepted, eligibility requirements and more. For anyone wanting to help someone in need. There’s no other application  like this in Chicago… or the state of Illinois. 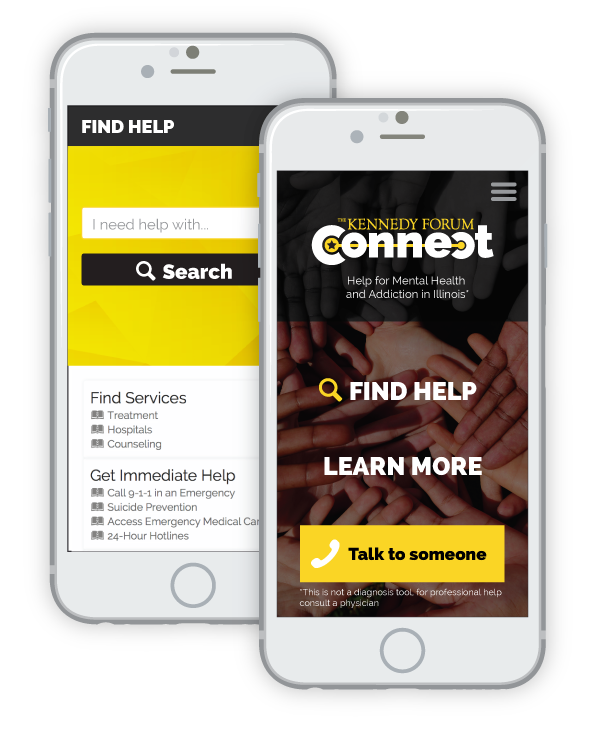 The Connect app has also partnered with The Campaign to Change Direction to provide information to help ‘Know the Five Signs’ that may mean someone is in emotional pain and might need help.